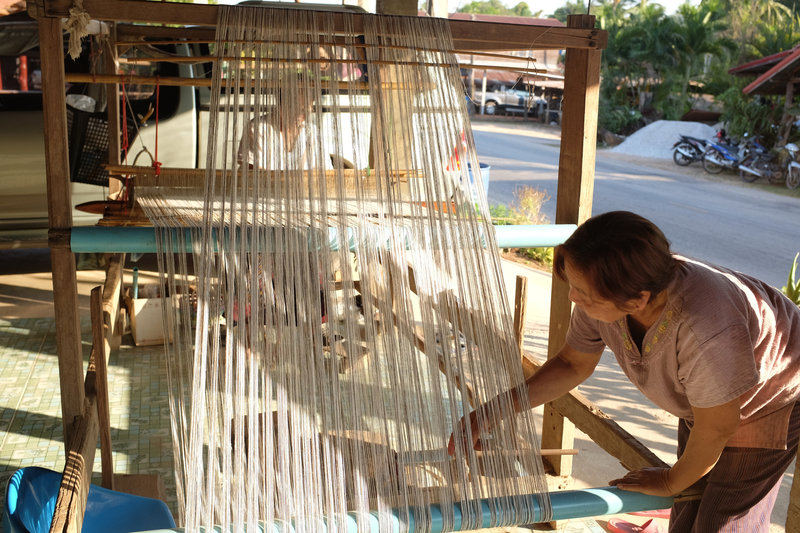 Loei Province has a long history of cotton farming and weaving for hundreds of years. 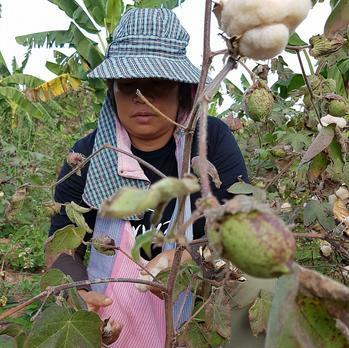 Self-farmed and woven cotton has been integrated in their lifestyle in all fabric products, such as towels, bed sheets, pillow-cases, Paa-kao-maa and clothing, including school uniform for children. 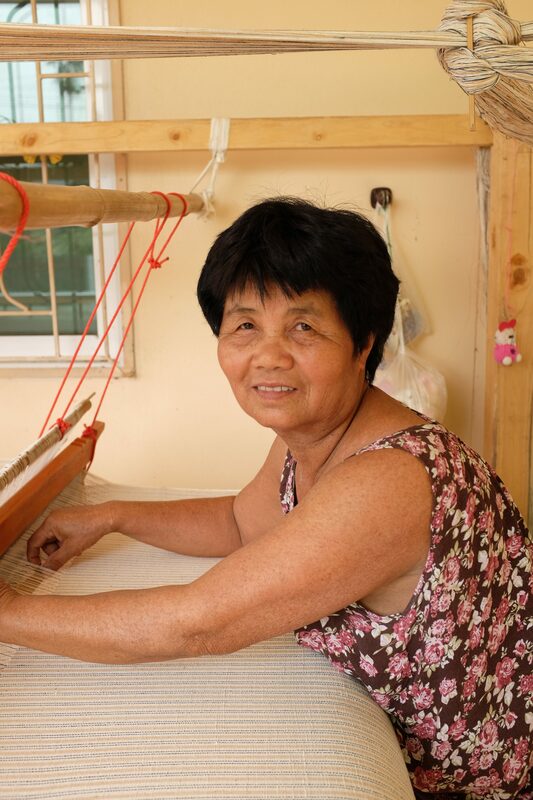 However, like many communities in the Northeast, due to the lengthy and time consuming process of this method, younger generations have lost interest and the local method of cotton weaving is now becoming extinct. 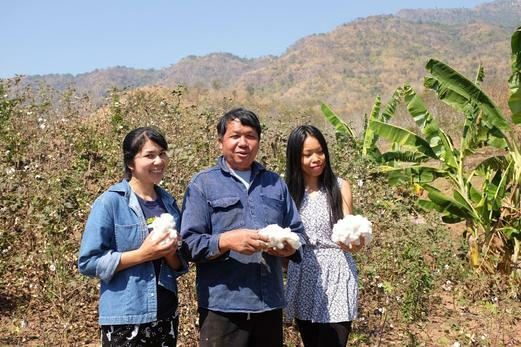 In 2004, the Loei Foundation for National Conservation (LoeiFund) has re-introduced the local technology and encouraged weavers of Baan Kokkabok to conserve this process of natural cotton growing and weaving. 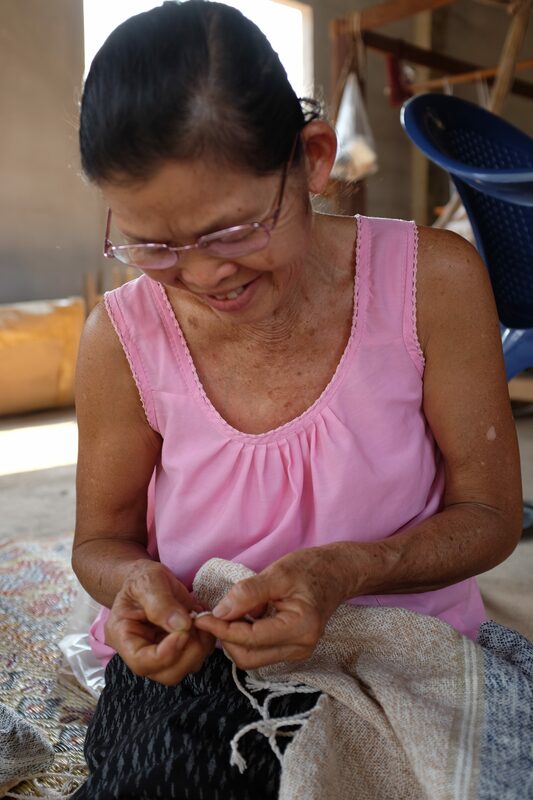 Although it is long and patience-weary, the group embraced the method with the pure belief in the value of the product, in the preservation of their traditional way of life as well as in the no harm to the environment concept.​ It is a simple yet beautiful combination of local weaving techniques and designs with the standardized organic farming technology which is now accepted under the Thai Industrial Standards. 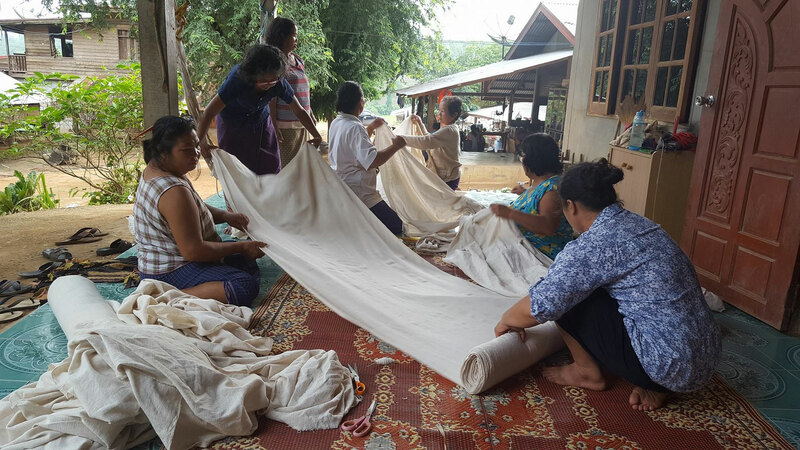 The newly formed Lum Nam Huay Weaving Group spun-off from the original Kokkabok Village Group and expanded to Na Nong Bong Village who are new to weaving hand-spun cotton, although they have won the provincial title of their skill in hand-spinning in a recent contest. 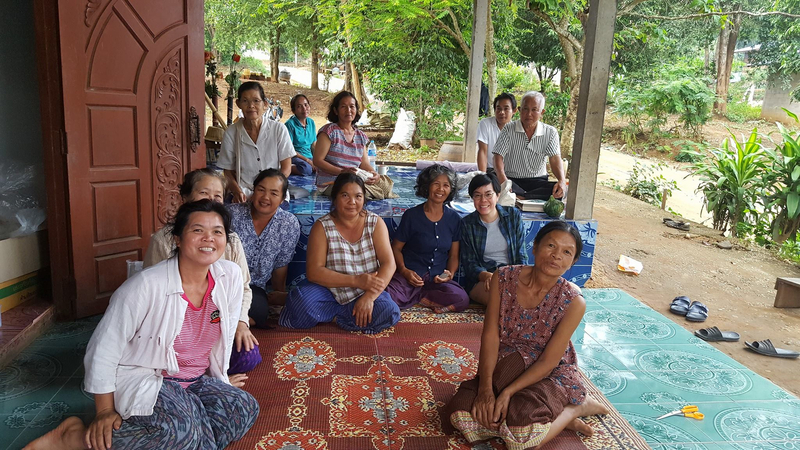 Khun Loei Community Enterprise was established under the Loei Fund for Nature Conservation and Sustainable Development situated in Sri Charoen Village, Phuluang District. 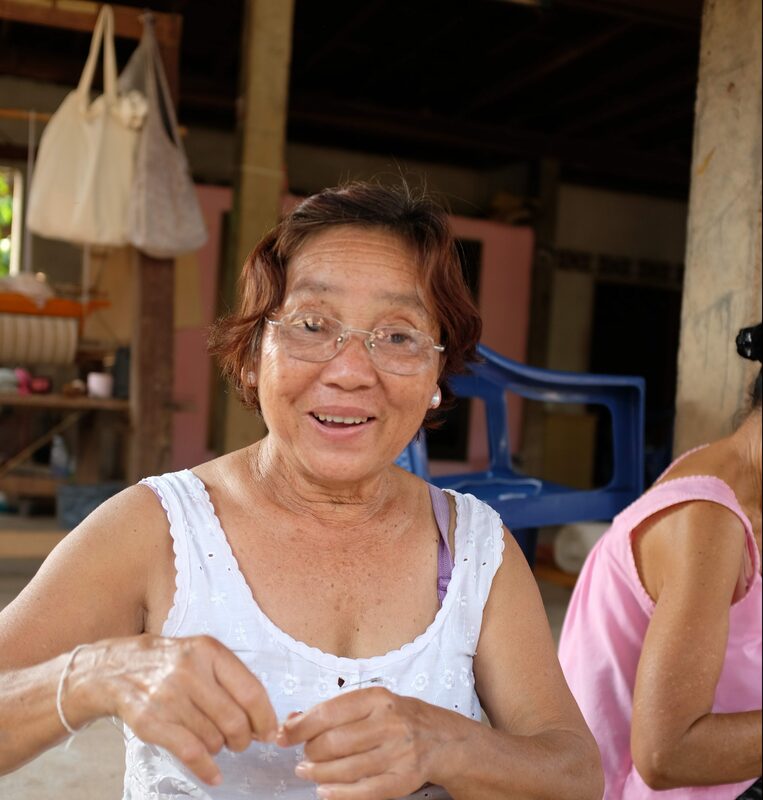 The group members value organic farming and as a group produce natural agro-processed products such as juices, sun-dried bananas, soaps and detergents.